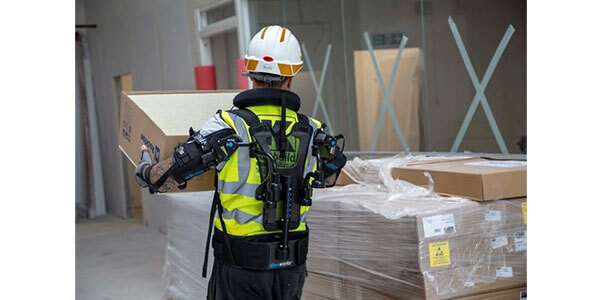 Willmott Dixon has teamed up with US-based robotics firm, Ekso Bionics, to trial a high-tech exoskeleton vest to protect and support supply chain partners working on a new school development in Cardiff. It has been developed by US robotics firm Ekso Bionics, which describes itself as “a leading developer of exoskeleton solutions that amplify human potential by supporting or enhancing strength, endurance and mobility across medical and industrial commercial applications”. The company plans to demonstrate the Eksovest at other sites across the country before introducing it as standard, depending on how the trials perform. Community High School, which will provide a new school for 1,200 secondary students including more than 300 sixth-former's, was chosen to trial the newly developed technology due to the range of technical activities required to complete the build.